Economic inequality has become a hot topic these days with voices from many quarters being heard. Blame about causes and solutions offered are apportioned in line with the different points of view of those commenting. One voice receiving much attention at the moment is that of Robert Putnam, a Harvard political scientist. In his new book, “Our Kids: The American Dream in Crisis,” he discusses the problem through the lens of changes in his own home town of Port Clinton, Ohio from the 1950’s to today. Putnam makes his point that there is a growing gap between rich kids and poor kids through stories about children and families who were his contemporaries as compared to those who live there now. The message seems to be that there had been greater opportunity in the past for children to move beyond their family’s economic and educational status. One identified cause was the collapse of the manufacturing base with a resulting rise in unemployment and fall in wages. The popular idea of the American Dream is that children could do better than their parents in all areas. The opportunity to achieve that goal is no longer there. Putnam has been criticized for his nostalgia about earlier times which does not give recognition to the kinds of public policy that included discriminatory housing and employment practices. The American Dream was not, in fact, available to all Americans. Nostalgia for and idealization of earlier times appears to be part of different attempts at solving current problems. This also turned up in the discussion of “Free Range Parenting” with its wish to give children the kind of freedom they used to have. Looking at the past through rose colored glasses sometimes interferes with an ability to see clearly the basis for the problems of the present. Putnam deplores the loss of a sense of community arguing that Americans used to care about other people’s kids and now they only care about their own kids. He believes the fault lies with social policies that reflect collective decisions for which we all have some responsibility and proposes changes in family structure, parenting, school and community. Parenting always seems to be a handy target in causes to blame for social problems. One could argue that parents have to make their own kids their primary concern given the failures of other institutions, such as schools, and the absence of support systems in the form of child care for today’s working parents. Added is the competitive factor that has been injected into education through the current focus on tests and the inequality of ongoing educational opportunity for various reasons. The importance of parents’ focus on their own children was brought home to me once again recently. I was asked to observe a child in an after school group because of complaints about her from her regular school teacher. The complaint was that she doesn’t listen and do what she is told. An example was that she was instructed to put something away and didn’t respond. By chance a baby sitter was present at the time and reported to the mother that it was clear to her what had really happened. The child’s spot had been used by another child and she was unsure whether to solve the problem by using someone else’s spot. Observing the child in another setting it seemed likely that, while actually bright and responsive, she may have some difficulty with processing. She also is a non-assertive child who might have difficulty speaking up in the situation. Apparently, there are 24 children in the class with a large group of boys who are difficult to manage. It was the mother’s investigation of the situation and knowledge of her own child that enabled her to pursue the situation further and prevent destructive labeling of her daughter. This is a small example of how parents can and do make a difference. But in discussing the larger social problem of inequality, larger public policy solutions need to be the focus. In this case, sufficient funds for education to allow for smaller classes and well trained teachers. Individual parents may have the time and the will to fight for social changes that will improve opportunities for all children. But in the current situation parents are left to fight for their own children. 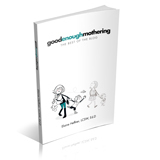 Previous Previous post: Do Mothers Take the Brunt?